Valeriy HEYETS is an outstanding Ukrainian economist, Academician of NAS of Ukraine, and Director of State Organization “Institute for Economics and Forecasting of NAS of Ukraine”, He is the Editor-in-Chief of scientific journals “Economy of Ukraine” and “Economics and Forecasting”. Valeriy Heyets (born 04.20.1945 in Sezky, Ichniansky district, Chernihiv region) is a famous scientist and economist in the field of economic and mathematical modeling and forecasting of economic development, macroeconomics, government regulation of the economy, Doctor of Economics (1988), Professor (1991), Corresponding Member (1992), and Academician (04.1995-) of the National Academy of Sciences of Ukraine (Department of Economics, Macroeconomics). 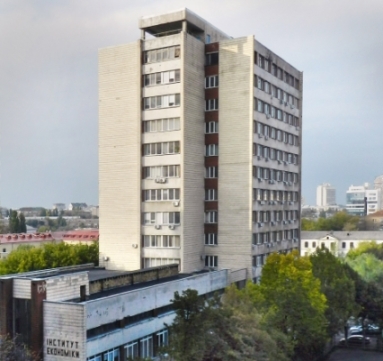 V.Heyets graduated from the Mechanics and Mathematics Faculty of Kyiv State Taras Shevchenko University (specialty – mechanics) (1963 – 1968). 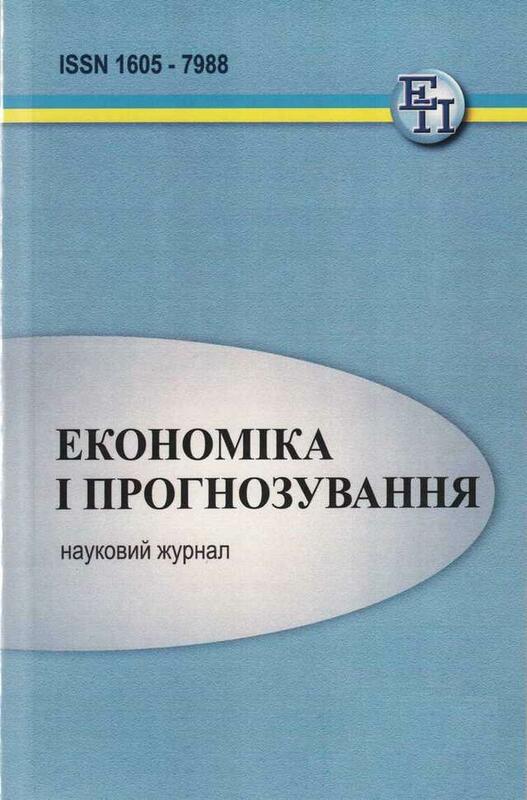 Prepared and defended thesis for the degree of Candidate (PhD) of Economic Sciences (1974) on “Researching growth models and methods of forecasting basic indicators of a republic’s economy (on the example of the UkrSSR economy)” (Institute of Economics, Academy of Sciences of UkrSSR) and thesis for the degree of Doctor of Economics (1988) on “Forecasting the dynamics and structure of social production in a union republic (on materials of Ukrainian SSR)” (Institute of Economics, Academy of Sciences of UkrSSR). After graduating from Kyiv State Taras Shevchenko University (1968), V.Heyets was sent to work in the Institute of Economics of the Ukrainian SSR as an engineer. Took postgraduate studies at the same institute (1969-1972), and later worked as a junior researcher (11.1972-12.1975), senior fellow (12.1975-06.1979), Head of the Sector of Economic and Mathematical Modeling (06.1979-07.1986), Head of the Department of Economic and Mathematical Modeling (06.1986-03.1987), and Head of the Department of Modeling of Economic Development at the Institute of Economics of NAS of Ukraine (03.1987-11.1997). Director, Head of the Department of Modeling of Economic Development, Institute for Economic Forecasting of NAS of Ukraine (11.1997-10.2005), Academic Secretary of the Department of Economics of NAS of Ukraine (10.1998-04.2009); Director, Head of the Department of Modeling and Forecasting of Economic Development, State Organization “Institute for Economics and Forecasting of NAS of Ukraine” (10.2005-); Vice President of National Academy of Sciences of Ukraine (04.2009-04.2015). 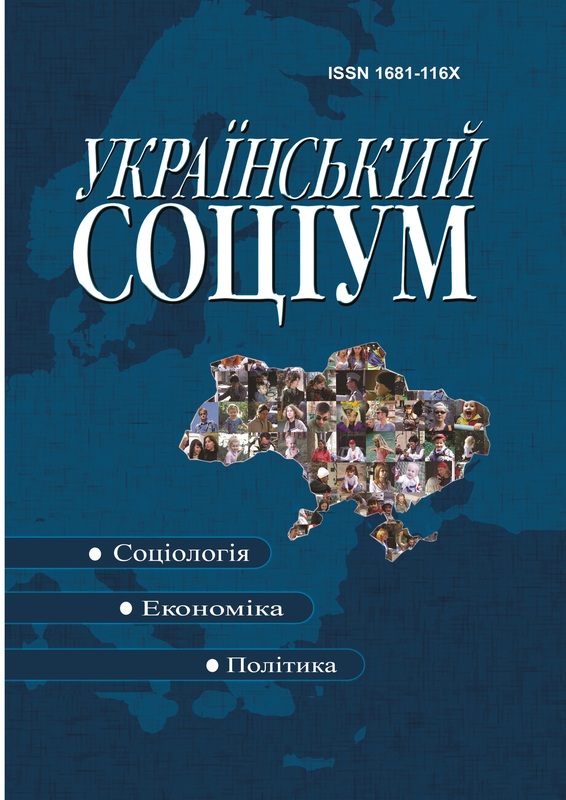 V.Heyets is winner of the UkrSSR Academy of Sciences O.H.Shlikhter Prize for the series of works “Predicting the dynamics and structure of social production (based on Ukrainian SSR)” (1991). Winner of the State Prize of Ukraine in Science and Technology for “Scientifico-methodological grounds of national security of Ukraine “(2002). Winner of V.S.Mikhalevich Prize for excellence in computer science, optimization theory and system analysis (Department of Computer Science, NAS of Ukraine) (2005). 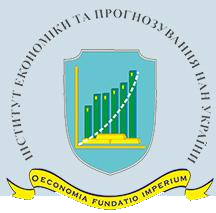 Honored Worker of Science of Ukraine (for a series of works on the theory and methodology of macroeconomic forecasting of economic development) (2002). Was awarded the Order “For merits” III Degree (2004), II Degree (2008), and I Degree (2011). 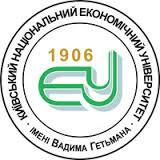 Was awarded Diploma of the Cabinet of Ministers of Ukraine (2004). Winner of the annual contest “Man of the Year” in the nomination of “Scientist of the Year” (2005). Was awarded the titles “Honorary Doctor of the Kyiv National Taras Shevchenko University” (2009), “Honorary Doctor of Kharkiv National V.N.Karazina University” (2012) and Honorary Decoration of the Union of Economists of Ukraine (2010). 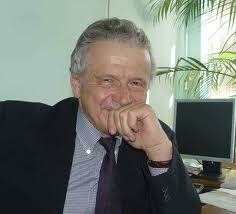 Valeriy Heyets successfully combines his professional activities with socio-scientific and public ones: in 1998-2009 he was Academician-Secretary of the Economics Department of the National Academy of Sciences of Ukraine; in 2009-2015 – Vice-President of the National Academy of Sciences of Ukraine, Head of the Section for Social and Humanitarian Sciences; since 1992, Valeriy Heyets has been Representative of Ukraine in the international project LINC-UN; since 2006 – Vice-President of the Union of Economists of Ukraine; since 2006 – Scientific Leader of the Section of Economic Forecasting of the Union of Economists of Ukraine; since 2011 – Member of the Scientific Council of the Target Oriented Comprehensive Program of Fundamental Researches of the National Academy of Sciences of Ukraine on “Fundamental Problems of Nanostructured Systems, Nanomaterials, and Nanotechnologies”; since 2011 – Member of the Committee on Systemic Analysis at the Presidium of the National Academy of Sciences of Ukraine; since 2011 – Member of the Scientific and Technological Council of the Ministry of Energy and Coal Industry of Ukraine; since 2014 – Deputy Chairman of the Expert Council for Social and Human Sciences of the Expert Council on the Evaluation of the Topics of Fundamental Research at the National Academy of Sciences of Ukraine; since 2014 – Member of the Scientific and Technological Council for Technological Regulation at the Ministry of Economic Development and Trade of Ukraine; since 2015 – Member of the Scientific and Expert Board of the Public Council at the National Bank of Ukraine; since 2016 – Member of the National Committee for Industrial Development at the Cabinet of Ministers of Ukraine and the Working Group to Coordinate the Cooperation between the National Academy of Sciences of Ukraine with Sectoral and Public Organizations of Industrialists, Entrepreneurs and Employers; Member of the Board of the Ukrainian Union of Industrialists and Entrepreneurs; since 2016 – Member of the Commission on the Improvement of Methodological and Reporting Documentation of the State Statistics Service of Ukraine; since 2016 – Member of the Provisional Working Group on the Upgrading of the Kyiv Development Strategy Until 2025, and since 2017 – Member of the National Committee for Industrial Development. Valeriy Heyets is Editor-in-Chief of scientific journals “Economics of Ukraine” and “Economics and Forecasting”, Deputy Editor-in-Chief of the journal “Bulletin of Economic Science of Ukraine”; member of the scientific and editorial councils and boards of international scientific journals “Belarusian Economic Journal”, “Region: Economics and Sociology”, “The World of Change”, “Society and Economics”, “News of the National Academy of Sciences of Azerbaijan. 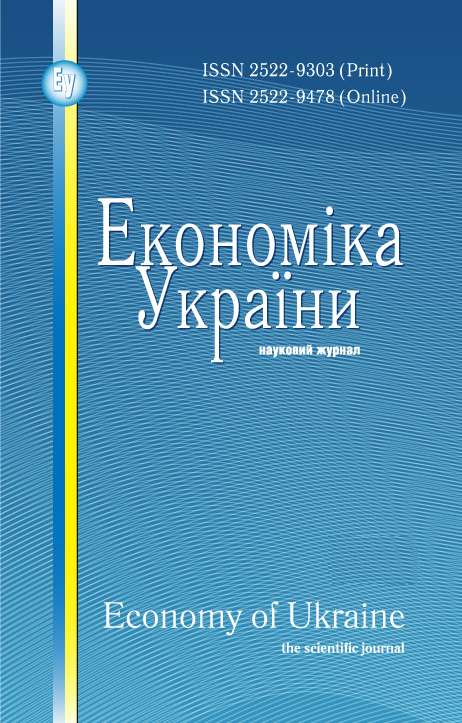 Series “Science and Innovations””, “Economic Cybernetics” and Ukrainian scientific journals “Bulletin of the Institute for Economics and Forecasting”, “Bulletin of the Economic Science of Ukraine”, “Economic Theory”, “Science and Law”, “Property in Ukraine”; «Scientific Bulletin of the Diplomatic Academy of Ukraine», «Problems of Science», «Banking», «Mathematical Modeling in Economics», and «Journal of the European Economy». Under the guidance of Academician V. Heyets, 26 doctoral and 23 candidate theses have been prepared. He is the author (co-author) of near 600 works, including over 40 monographs (7 individual monographs), including “Forecasting the Dynamics and Structure of Social Production of a Soviet Republic” (1987), “Sectoral Forecasting: Organizational and Methodical aspects” (1990), “Ukraine’s Economy: Models of Reform, Restructuring and Development Forecast” (1993), “Ukraine: Science and Innovation Based Development” (1997, co-authored), “Transformation of the Model of Ukraine’s Economy (Ideology, Controversy, Outlooks)” (1999, co-authored), “Sectoral Forecasting Models for Ukraine’s Economy” (1999, co-authored), “Economy of Ukraine: Results of the Transformation and Growth prospects” (2000, co-authored), “Instability and Economic Growth” (2000); “Innovation Strategy of Ukrainian Reforms” (2002, co-authored), “Ukraine’s Economy: Strategy and Policy of Long-Term Development” (2003, co-authored); “Transformation Processes and Economic Growth in Ukraine” (2003, co-authored), “Knowledge Based Economy: Challenges of Globalization and Ukraine” (2004, co-authored), “Innovative Prospects of Ukraine” (2006, co-authored), “Ukraine in Terms of Knowledge Based Economy” (2006, co-authored); “Models of Endogenous Growth of Ukraine’s Economy” (2007, co-authored); “Strategic Challenges of the XXI Century to Ukraine’s Society and Economy”, 3 vols. (2007, co-authored), “Society, State, Economy: the Phenomenology of Cooperation and Development” (2009) and others. In his works, V.Heyets justifies conceptual principles of state strategy of Ukraine’s economic development in the long run, which is focused on ensuring sustainable growth through innovation and investment to modernize the economy, its structural and technological modernization, and integration into the world economy. 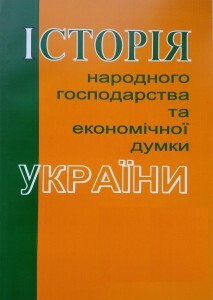 Among V.Heyets’ research interests, a significant place is occupied by studies of institutional framework of the interaction between society, government and business, identifying the most effective mechanisms of their influence on further capitalization of Ukraine’s economy and ensuring its self-sufficiency as a subject of international activities. 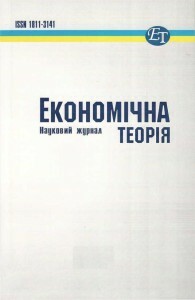 A significant contribution to the development of the theory of state regulation of the economy has been V.Heyets’ research on the contents and mechanisms of state innovation policy and conceptualizing strategic priorities of state policy in this area, which are components of the mechanism to strengthen the creation of state under the conditions of the globalizing world.